For more information about the FebriDx test, visit FebriDx.com. RPS Diagnostics (RPS) is an emerging developer, manufacturer, and marketer of cost-effective point-of-care (POC) tests for systemic infectious disease and antibiotic stewardship. The company’s innovative and patented FebriDx® test is a rapid, disposable, in-office test that uses a fingerstick blood sample to help identify a clinically significant immune response and differentiate bacterial from viral causes for fever in acute respiratory infection. With a 97% negative predictive value, FebriDx delivers results in 10 minutes and can be used to help triage infectious patients during the initial office visit, providing clinicians with actionable information that can be used to limit unnecessary antibiotics. 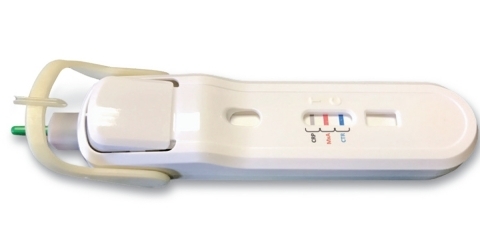 At this time, the FebriDx test has not received U.S. Food and Drug Administration (FDA) clearance and is not commercially available in the United States. For more information on RPS and its products, visit RPSdetectors.com.